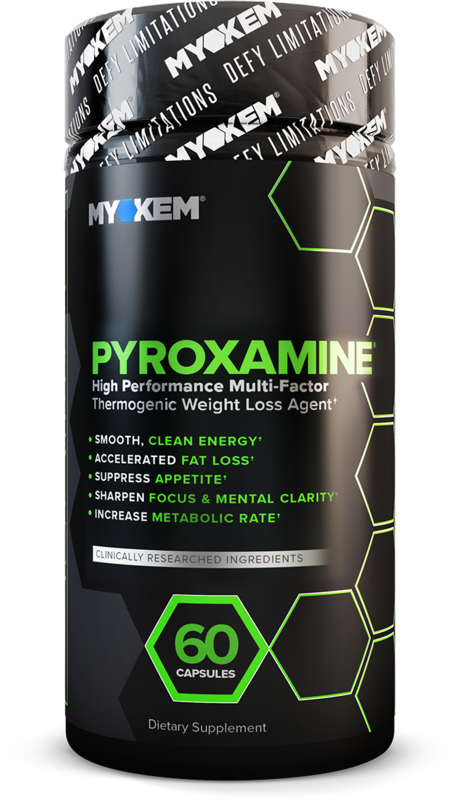 Carefully crafted with years of R&D behind it, Pyroxamine® is a comprehensive thermogenic fat burner that uses scientifically validated ingredients to provide powerful weight loss results. 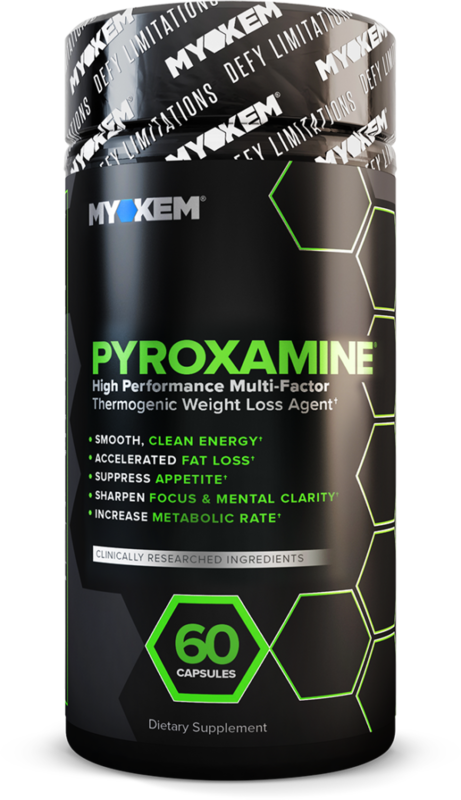 Pyroxamine® features scientifically calculated doses of high-quality ingredients designed to help you lose weight by suppressing appetite, increasing energy, elevating mood and mental focus, and increasing your metabolic rate, allowing you to burn more fat faster. CARALLUMA FIMBRIATA – A plant that has historically been used as a famine food, Caralluma fimbriata is an active appetite suppressant and thirst quencher. GRAINS OF PARADISE EXTRACT – Grains of Paradise produce a distinct sensation of heat, providing one of the thermogenic elements in Pyroxamine® that increases metabolism. 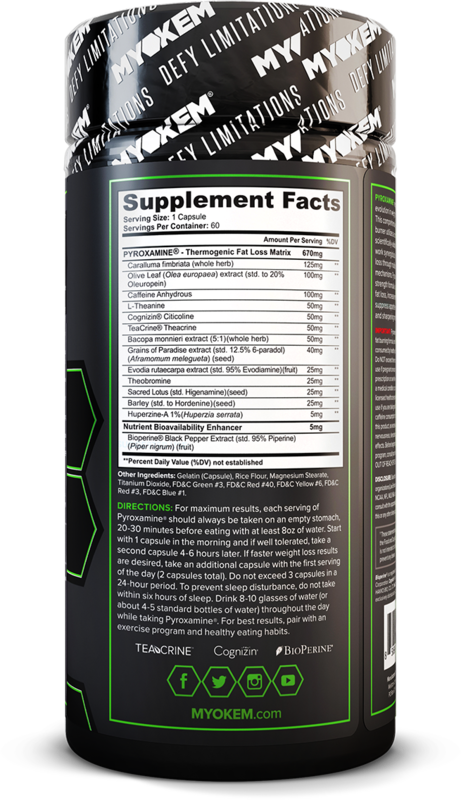 TEACRINE™ – TeaCrine™ offers many of the same effects as caffeine without the crashing or jitters. In Pyroxamine®, TeaCrine™ provides a clean, smooth flow of energy and has been shown to boost focus and mood. 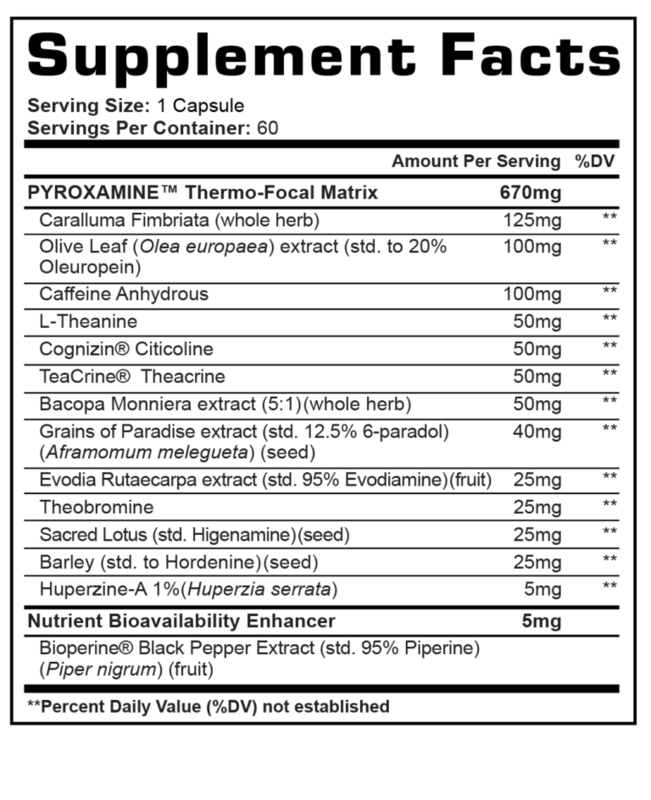 CAFFEINE – A common ingredient in fat burner supplements, caffeine has been shown to boost metabolism and improve concentration. 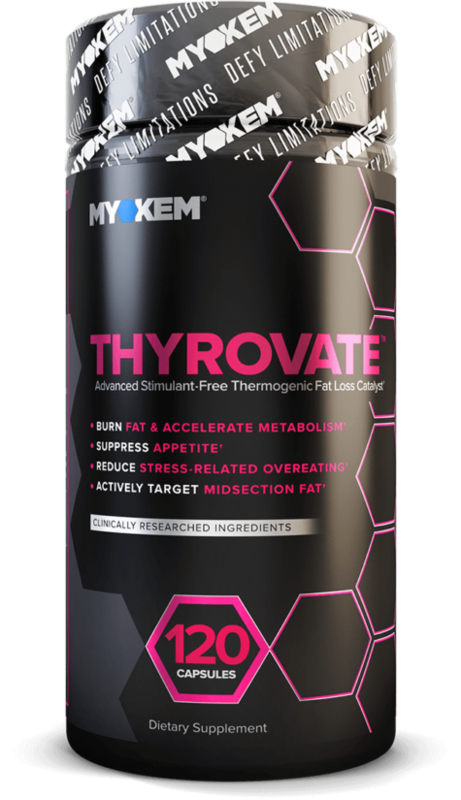 EVODIAMINE – The fruits of the plant have been used in traditional Chinese medicine as a thermogenic to increase your core temperature, giving Pyroxamine® another element to increase metabolic rate. 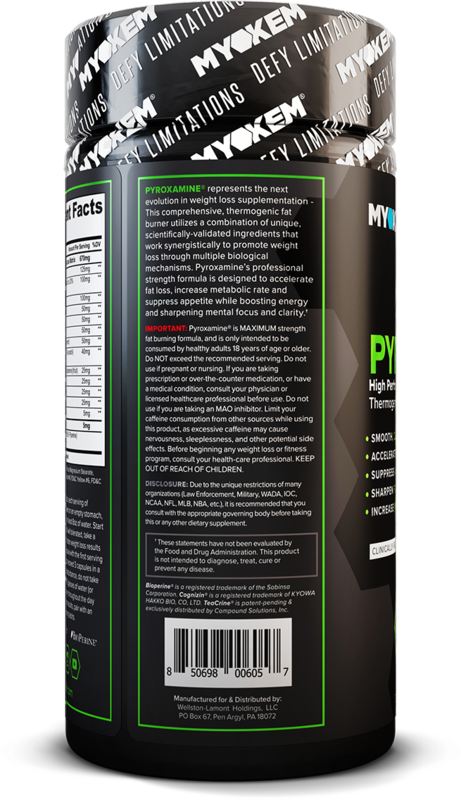 COGNIZIN® CITICOLINE – As an ingredient in Pyroxamine™, Cognizin® makes you more present and focused during workouts. BACOPA MONNIERI EXTRACT – In Pyroxamine®, this promotes greater mental clarity while reducing stress levels.